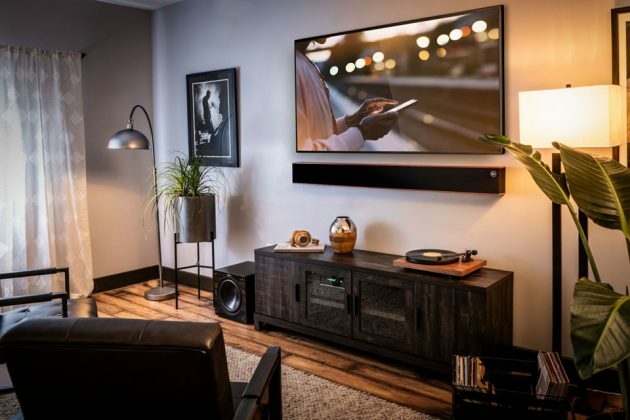 If you are looking for a sound bar that packs a lot of punch and money is no object, well, then you may want to take a look at this impressive audio hardware from specialist audio equipment maker, Klipsch. 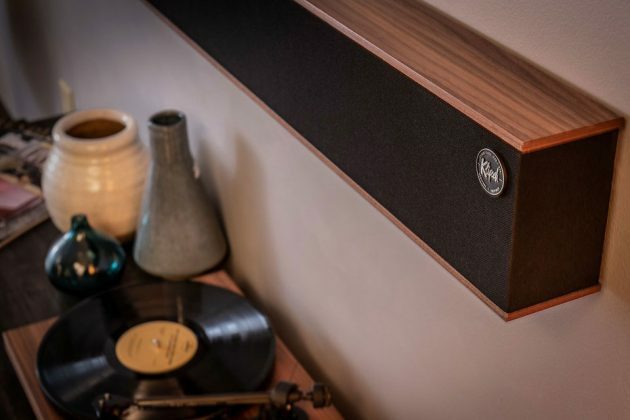 Featuring furniture-grade wood veneer in a selection of finishes and a selection of grill colors, Klipsch Heritage Theater Bar, as it is called, boasts three massive 3/4-inch (19 cm) titanium diaphragm Linear Travel Suspension tweeters with 90×90 Tractrix Horn-loaded technology, and no less than six (gasp! 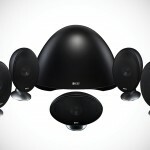 ), equally enormous, 4-inch black Cerametallic woofers. 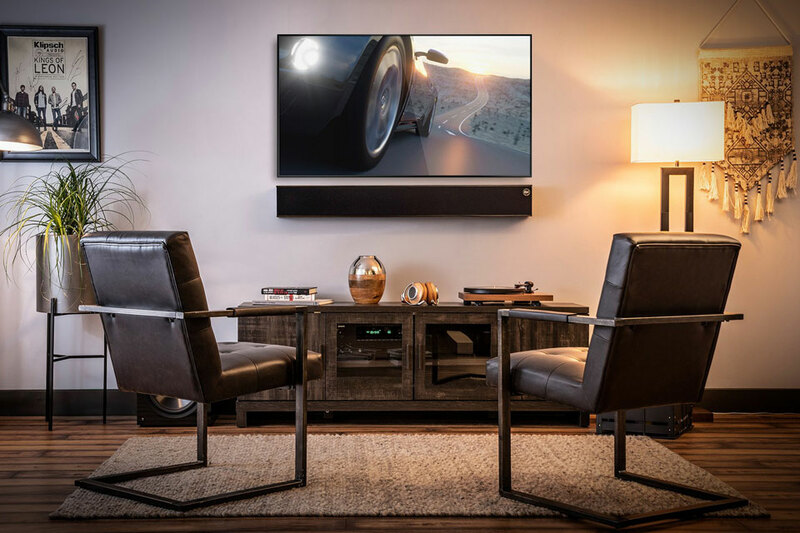 Together, the drivers worked to deliver “most impressive high-end response and greater extension, while enhancing imaging and dynamics,” while minimizing “distortion for enhanced, detailed performance.” The result, according to Klipsch, is the “cleanest, most natural sound possible.” And yes, that’s a claim for a sound bar. 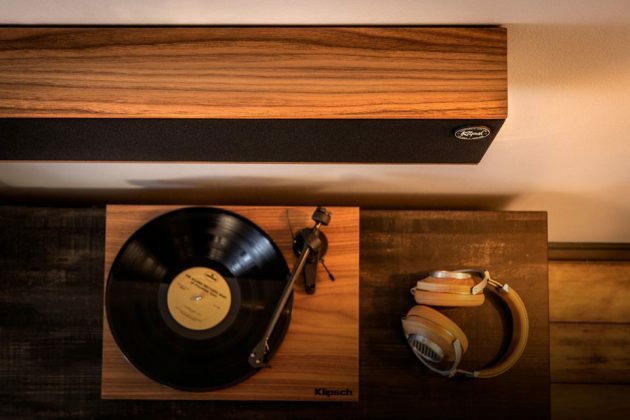 Hard to believe, really, but then again, it is Klipsch we are talking about. 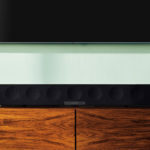 Its computer speakers back in the early 2000s already blew my mind. All told, this baby here is capable of 300W peak power. It is obvious this thing here is a powerhouse, but in return, it is quite sizeable, physically speaking. 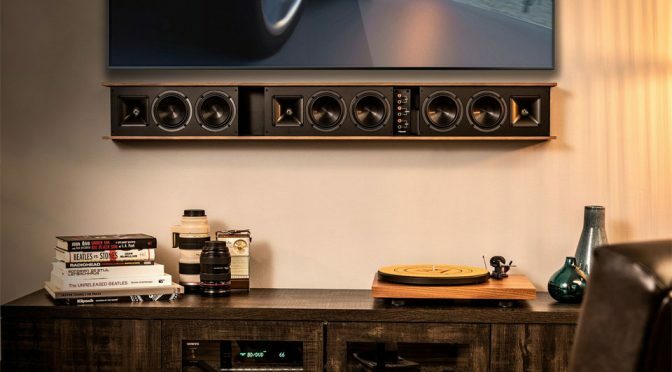 Klipsch Heritage Theater Bar measures 49.5” long, 6.25” tall and 4” deep (125.7 x 15.9 x 10.2 cm), so it is not exactly a low profile device favored by console-resting flatscreen TVs. 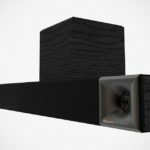 In other words, it is more for wall-mounted TVs. It has a low-profile wall mounting system that is just 1/4” deep while the sound bar’s built-in mounting rail allows the bar to be easily centered to a wall-mounted TV. 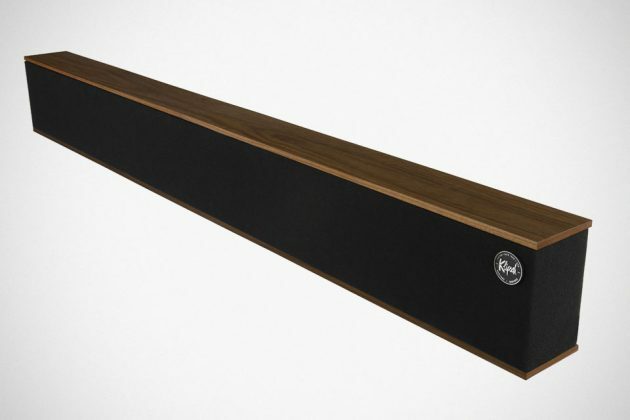 And the price for this gorgeous sound bar with a lot of promises? $2,199. Ouch. Obviously, not for the budget-conscious consumers. Moreover, you probably require you to hook it up to a separate AV receiver and if you are a bass head, spending on a standalone sub may be necessary. Surely, you don’t believe that those woofers are going to bring the house, do you? I think not.